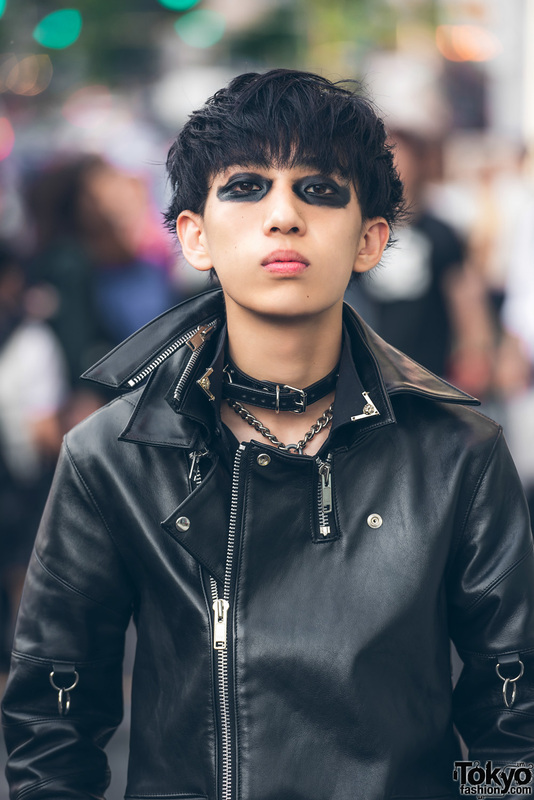 While walking along the busy street of Harajuku, we came across 17-year-old Ryunosuke Ishimitsu, a student. He caught our eye with his all black outfit with striking black eye makeup. 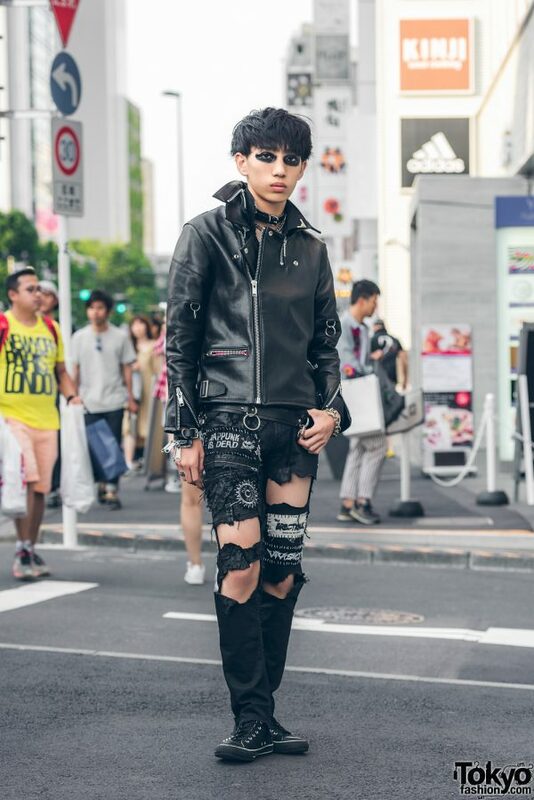 Ryunosuke’s all black ensemble features a Fetis leather jacket over a Zara top, D.I.Y. 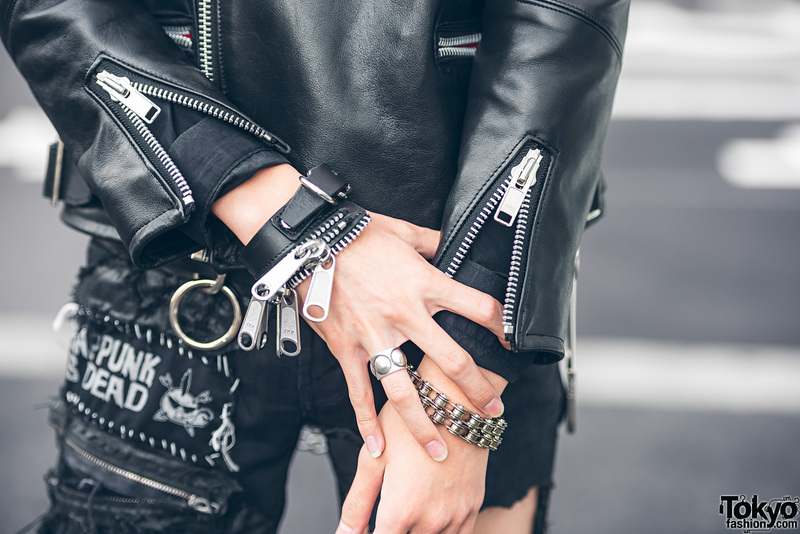 distressed and patched denims, and studded sneakers from Converse. 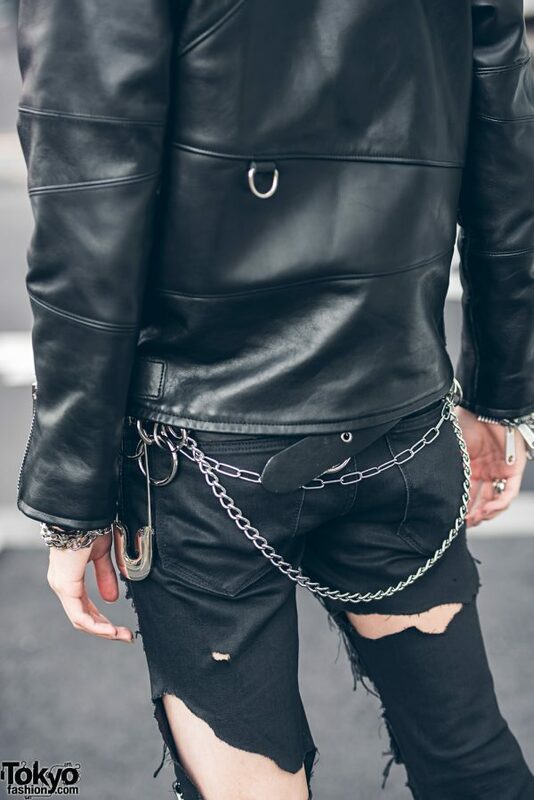 His accessories include a Fetis leather collar, silver chain necklace, an O-ring belt, leather cuffs and silver bracelets from 666 Japan, and a silver ring by Cody Sanderson. 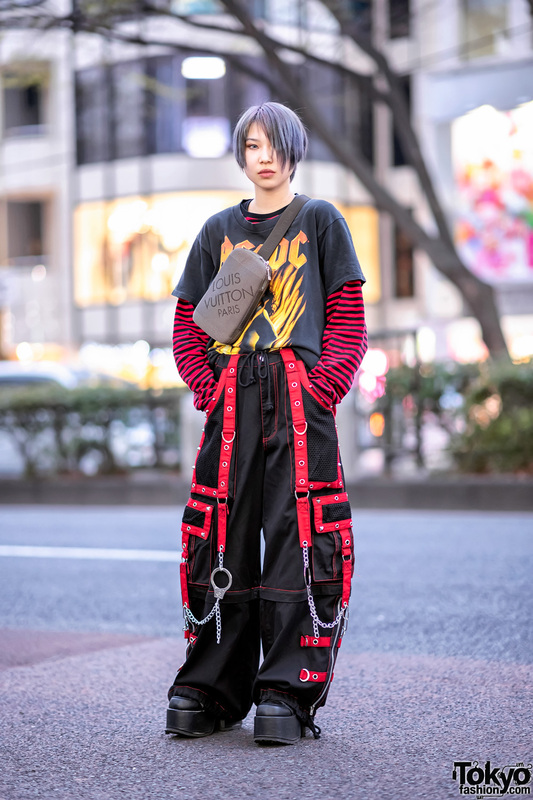 Ryunosuke’s favorite fashion brands are Fetis, Cyber Dyne, 99%IS- and 666 Japan. His favorite music artists/bands are Hat Trickers, The Erections, and Vivisick. 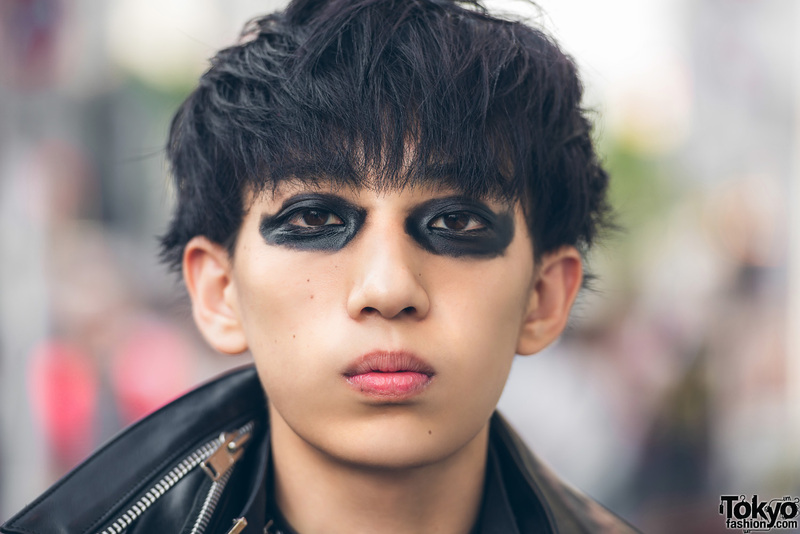 He is active on Instagram and Twitter.